Wn302 Fort d´Omonville, K.V.U.Gruppe Joburg, K.V.Gruppe Periers. 1 x Vf/Skoda fortress bunker. Vf/Skoda fortress bunker how it may have looked. Fort d´Omonville Corps de Garde Type 1846. Trying to do my research, not easy but I think this is the smaller type. No3 20Hommes 4 cannon. The larger version below has one floor with large arched rooms. A flat roof with crenelated walls to fire over. A drawbridge entrance and outside areas for cannons to be laid out. Inside a fort of this design. The road in lined with German barbed wire picket posts ''Eisenpfahel ''. The fort set on a small promontory with a large hill behind. A curtain wall has been built climbing the hill and a lookout placed on the top. All this is prior to WW1 period, wars against the English mostly. They were so troublesome lot always trying to get France back for themselves. 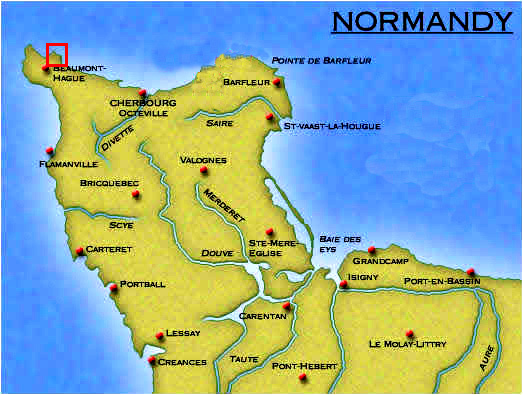 Corps de Garde were the part of the French army that protected its vast coast and borders. 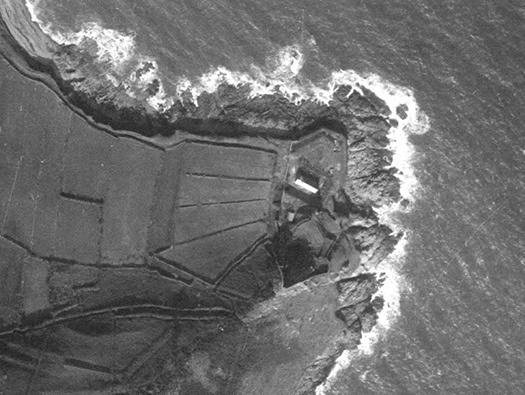 There are many of these forts all around the coast. 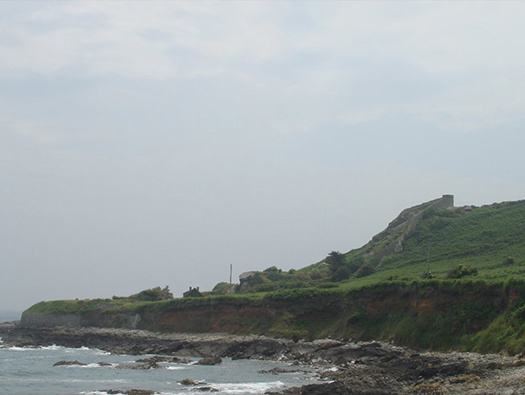 I have seen a small lookout near Boulogne-Sur-Mer to lovely castle type forts in Brittany. On the Utah beach area are many small forts also turned into Wn defences by the Germans. Lo362 Fort de Port Puce StP Gavres. The main gate with a defence in the corner. The defence on the left of the gate. Interestingly there is a gun fitting for a 4.7cm Pak K.36(t) on the grass bank and this may have been Vf/Skoda fortress bunker or maybe that could be further over?? Gun fitting for a 4.7cm Pak K.36(t) still set into the embrasure door..
4.7cm Pak K.36(t) plan fitting into the embrasure door.. The embrasure door could be hinged inside to leave a large embrasure to view out or fire if the gun was disabled. The fort. It would have had a flat roof, crenellated to allow troops to fire rifles from the roof. Plan of a Corps de Guarde fort. Vf/MG Stand on the curtain wall. Defensive rifle embrasures in the curtain wall. Vf/MG Stand on the hill. The walk along the GR223 coast path. John clearing the way for me. I employ him to do this. Here he is in 2007 doing the hedge clearing. Still going but he is getting out of puff. Rommelâ€™s Asparagus. These are made of concrete, some were made locally but also a large number were manufactured in the Paris concrete works now redundant from their usual productions and turned over to war work. How they were used all along the coast. The views towards Castel Vendon. Jean-François Millet painter from Greville in the Hague has inspired great painters and the very first of them to admire and be inspired by Van Gogh. 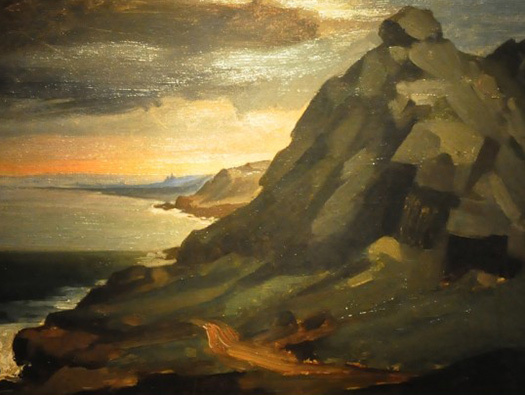 This picture is in the Orsay museum has been "renovated" works of the Cotentin.